When leading industrialists, Joachim Hoffman (Europe), Komataro Kondo (Japan) and Thomas Roboz (USA) founded the International Apparel Federation in 1972 in Williamsburg (USA) , they had a dream to bring together apparel manufacturers from all over the world. Building bridges between continents by promoting common business interests, by encouraging best practice and supporting apparel manufacturers and marketers worldwide. After almost forty years the IAF has become the world’s leading federation for apparel manufacturers, their associations, and the supporting industry. 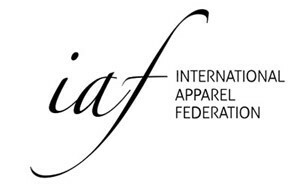 IAF’s membership now include apparel associations from more than 40 countries representing over 150,000 companies who provide products and services to the apparel industry – a membership that represents over 20 million employees.The associate members of IAF are prominent companies or institutes in technology, business services, retailing, logistics, culture and education. We have to face the fact however that over the last decades the apparel world has dramatically changed. The globalization of apparel manufacturing, stimulated by the liberalization of trade in textiles and clothing as per 1st January 2005, has intensified competition in the textile-apparel pipeline. In certain parts of the apparel world it puts heavy pressure on existing market structures. At the same time new market opportunities are ahead of us. Creativity, design, new materials, research, information technology, cooperation in the demand chain are just a few key words to underline the possibilities companies have to be competitive and to gain market share. To help the apparel sector in benefiting from these challenges the IAF has redrafted its mission statement in 2006 broadening its scope and embracing the entire apparel chain. During the same year its headquartes moved from London to Zeist, near Amsterdam where the first IAF office was actually set up before moving on to Berlin. The IAF aims to be the premier worldwide knowledge network on a great variety of apparel industry issues including design, manufacturing, distribution, sourcing, trade, technology and education. The development of business contacts worldwide remains a main target of IAF. The dream of the IAF founders is still alive: building bridges in the apparel chain.